As of this writing, 36 people have been confirmed to have died, 118 were able to make it to shore alive, and 19 are still missing. There was a total of 189 people aboard the boat when the tragedy happened. The boat had a 16-member crew. 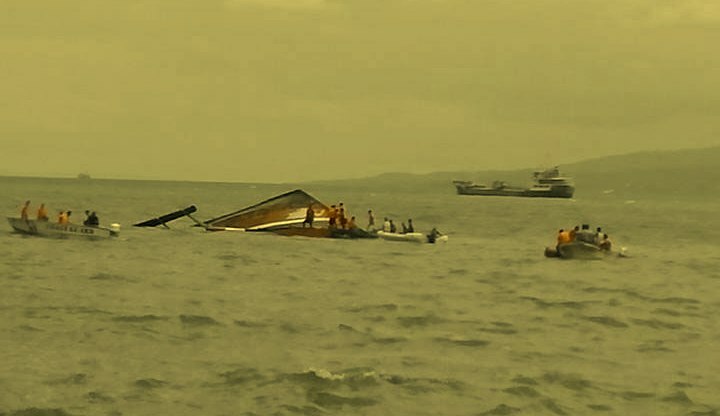 The boat was on its way to the Camotes Islands when it capsized just minutes after it left port. The MV Kim Nirvana has just departed from Ormoc City around 12:00 pm and it was only 200 meters away from the shoreline when it suddenly capsized. It was on its way to the town of Pilar in the Camotes Islands. The boat measured 27 meters long and according to Captain Pedro Tinampay who is commander of the Philippine Coast Guard (PCG) in Eastern Visayas, the boat can accommodate 178 passengers. What caused MB Nirvana to capsize? Chairman Richard Gordon of the Philippine National Red Cross told CNN that high, strong winds caused the accident. The Philippine Coast Guard added that huge waves caused by strong winds were to blame. A media report quoted a survivor saying that the boat was loaded with hundreds of sacks of rice and cement. Captain Tinampay of the PCG said that passengers of the boat moved to one side causing it to capsize because of the imbalance.